Awash with lilting waves of buoyantly lo-fi, Tame Impala-like instrumentation, stream Trying by emergent Bournemouth outfit Honeymoons. Really, truly ready to kick on, BANKS shares the delectable, bassy Gemini Feed from her forthcoming sophomore full-length, The Altar. 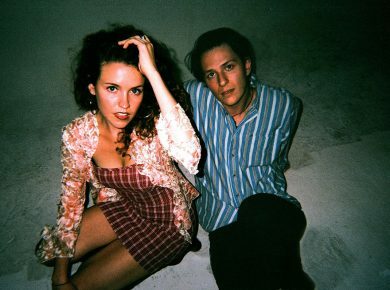 ‘Reminiscent of an upbeat Beach House, or LDR fronting UMO,’ dive on into the altogether inviting Saltwater by adopted London duo Geowulf.